Here is the design as I did it on EQ7. 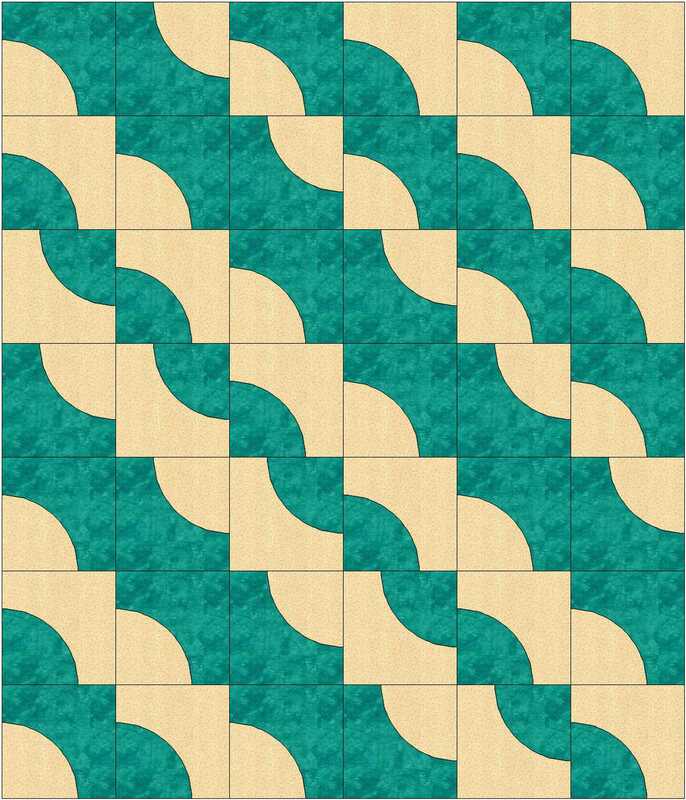 I often it to quickly layout and turn blocks, without worrying about fabrics, just to get a general idea. These are nine inch blocks. I wanted to keep the pieces large to show off the fabrics. I started with six fabrics, but added four more to fill in the values. This quilt has no shell print fabric. One of the batiks is “Surf”. There is a peeling white paint print, and one that appears woven, not an awning stripe, but maybe a lawn chair? There is a metalic gold leaf print I really like. Most of the others are abstract batiks, although the darkest reminds me seaweed or fishnet. I used that for the binding, too. 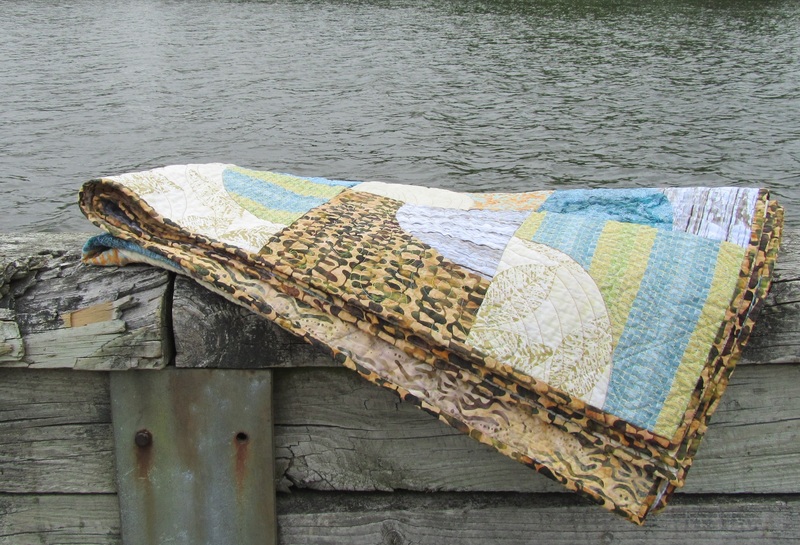 I quilted this with wavy lines using a caramel-colored Living Colors from Superior Threads. The spirals were done in a Rainbows thread in a green, blue, yellow, pink variation. The backing is a gold and cream batik that makes me think of coral, or maybe seaweed. There is a row of blocks pieced in, but it doesn’t show here. 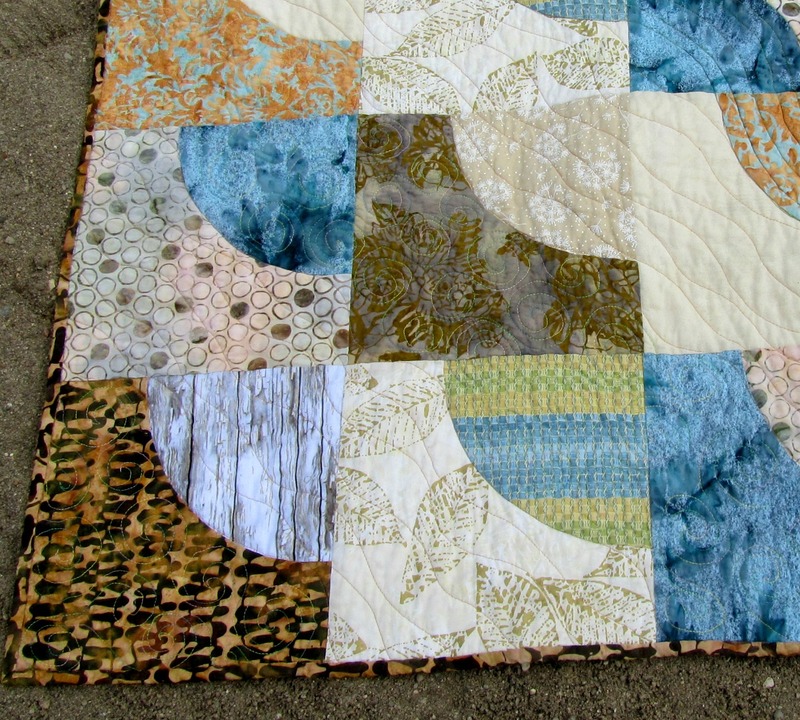 This quilt is a little darker, more earth and sky, than some of the past ones. 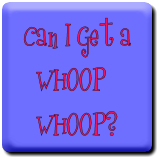 It’s available here in my Etsy shop. This is so pretty. Love the colors. I am ready for the beach! 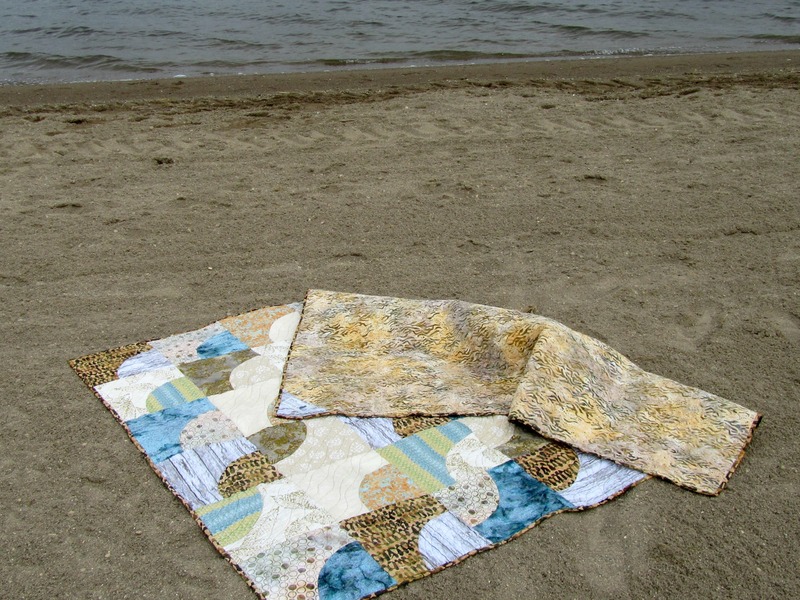 Your quilt is lovely and perfect for a beach picnic. 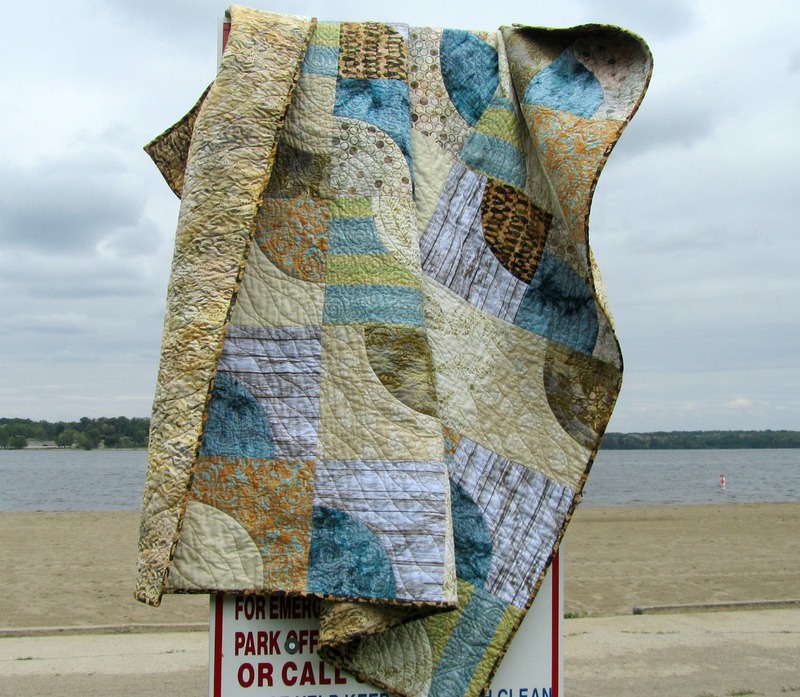 Really like your colors and your quilting! I am always a sucker for a drunkards path block. I love the colors and the name! 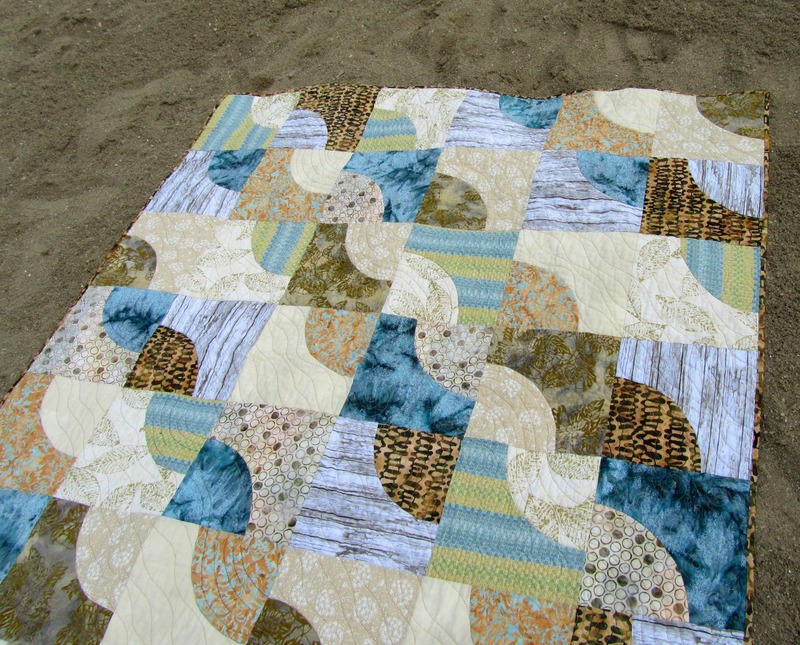 Did you have to wash the quilt as soon as you were done with the pictures, or did the sand shake out?